It's the most joyful month of the year and we're a bit late to the game but we've just chosen our holiday cards and I thought I'd share it with you. I wanted the cards to be something beautiful that our friends and family would want displayed, almost as art in their home through the season. Trending this year are dark blue, black and white, botanical inspired designs and metallic foil press. With that and my own personal aesthetic in mind, I carefully looked through every card that minted offers and here's what I decided on. 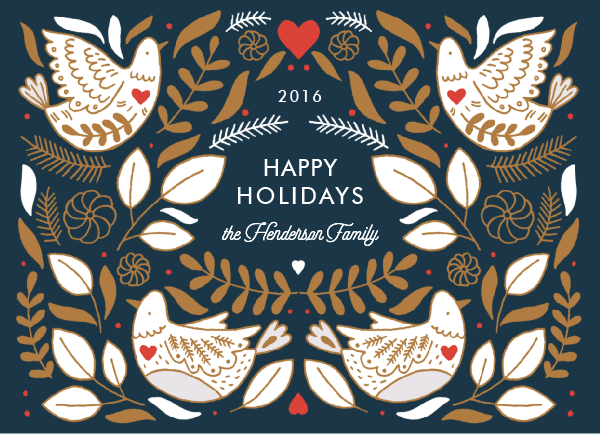 The design is called Fanciful Pheasant and is one of their non photo holiday cards. It's designed by Erin McManness. There are independent artists from all over the globe that create the designs you see on the cards. And most of the cards are customizable in several ways including colors, text, shape and more. Last year I made the mistake of ordering way more cards than I ever could need. So I took a realistic approach to things this year and only ordered the 25 count option. I don't have an awful lot of family, nor do I have many friends I'd send a Christmas card to. Mad props to those of you who do though! I respect your ability to keep up with so many people. I thought it'd be fun to also send out New Years greetings, too. 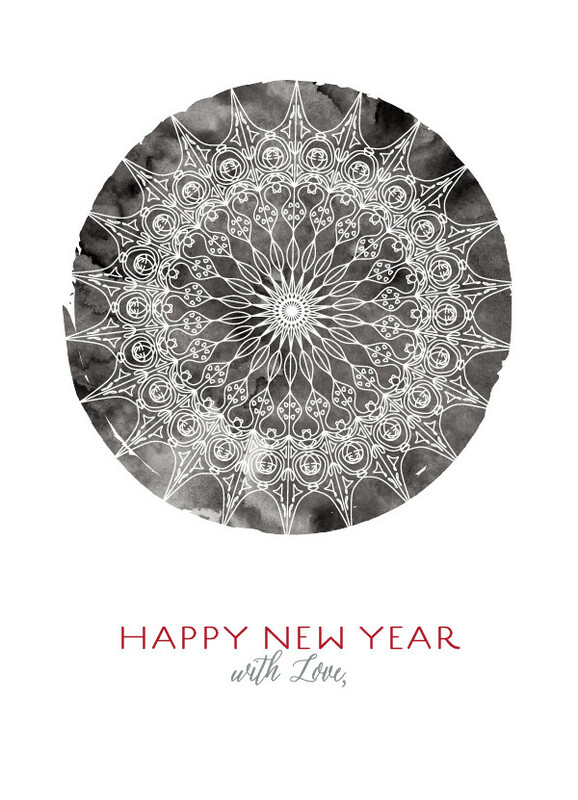 After combing through everything offered, I chose the Bohemian Snowflake design because I thought it could also double as art once the time came to put away all the celebratory New Year's decor. The Bohemian Snowflake design was created by Kaydi Bishop. I changed the text up to leave room for us to hand sign this face of this one since pen marks on the back could ruin the pretty design. Minted also offers the option to import the names of addresses of the people you want to send the cards to but I never have that information handy and it's already quite late to be putting it off any further. It'll take approximately a weekish for them to arrive so I'll collect and hand address them myself. By now you guys have to know that I enjoy working with minted. The quality of everything I've been sent and have bought have been great. Part of the customization options include what type of paper you want the designs printed on. I love that they offer a recycled paper option. You can truly end up with something no one else has. I would love to see your holiday cards. Minted is offering different sales every day so make sure you pop in and check out what specials they're running and how they can fulfill any art, cards, gifts and more you may need this holiday season.